BizComBuzz Note to Instructors: This real-life case speaks directly to students and is a great way to get them thinking about ethical behavior early in the semester. You can link this classroom exercise to readings in Essentials of Business Communication, 9e Chapter 11 or Business Communication: Process and Product, 8e Chapter 1. Politicians from Arizona Senate hopeful Wil Cardon to former Governor Mitt Romney to President Obama have been accused of buying Facebook likes or Twitter followers. So it wasn’t too surprising to learn that an Arizona State University student government senator had fudged her Twitter followers. In fact, Jordan Hibbs’ impressive social media presence—she has 16,800 Twitter followers—bought her quite a bit of renown. She was invited to live tweet the State of the Union at the White House twice due to her notable social media numbers. Except that it turns out that 14,300 of those followers were fakes. A Twitter audit showed the accounts that followed Hibbs had fewer than ten people following them and that tweets on those accounts were posted on two days nearly two years apart. Clearly that was fishy enough. Things got worse when Hibbs was interviewed by Fox News and is quoted as saying, “I’m committed to social media, and I’m really interested in politics. It’s a great way to be involved in something that I care a lot about.” She went on to explain that the secret to having a large following is asking questions to involve people in the conversation. But this nervy coed went even further. In several feature articles Hibbs wrote for the ASU newspaper, she talked about her desire to increase “accountability” and “transparency” among campus politicians. Your Task: Ethics are moral codes that often hold us to a higher standard than the law, guide our behavior, and help us separate right from wrong. Using the following questions, discuss with your team how the above scenario violates principles of ethical conduct or write a memo to your instructor. 1. Was the use of buying Twitter followers legal? 2. Would you do it if you were in the same situation? 3. Can you rule out a better alternative? 4. Would a trusted advisor agree with the action? 5. Would family, friends, employer, or coworkers approve? This entry was posted in 4. Classroom Exercises and tagged BCPP Ch. 1, Business Ethics, Business Ethics Case Study, EBC Ch. 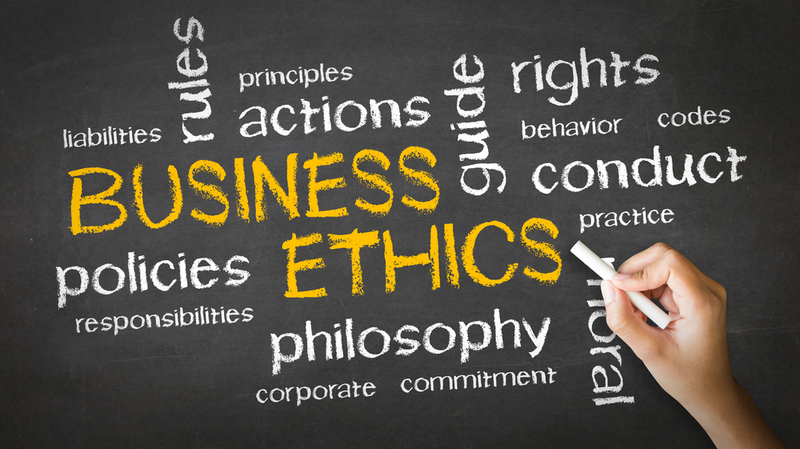 11, Ethics on July 30, 2014 by bizcombuzz. I also believe that it is unethical to buy followers. In my opinion it is lying and cheating. Gaining the approval thru false information is just plain wrong. If someone has to do this to get approval or to be something they are not then clearly they are not what they are trying to be. I think it is unethical to buy followers. I don’t see how people could even think about doing that. They would lose all trust from everyone. It’s not right. People should focus on being themselves and being real, that’s how you get followers and get people to like you. I think it is very unethical to buy followers. That is taking the easy way out to me, that shows that someone doesn’t trust the process of progress. There it shows a huge lack of faith. I feel it is very unethical to bu followers. If you want to have a huge presence in the social world then you need to achieve that by making yourself not only known but also interesting enough for someone to want to fallow. I do not think that buying followers is legal. Even if it is not against the written law, it should be against every person’s moral code of conduct. I personally do not care much about social media or being famous; because of this, I do not have any wish to falsely gain follower. No one that I trust and respect would consider buying recognition an appropriate action. If some one wants to become famous, do something legal and ethical. Start a program that helps wildlife or teaches people basic first aid. Programs that help people are, and always will be, better than the cheating ideas of greedy people.